Organically grown seeds. 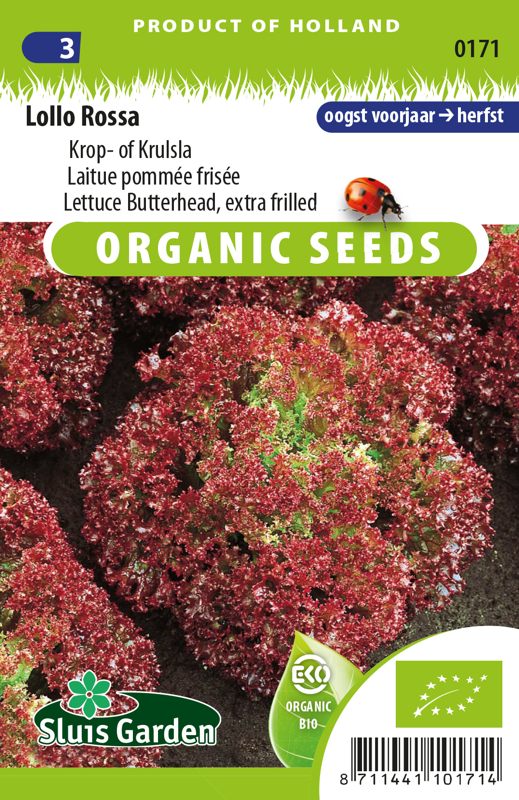 A red, finely frilled lettuce variety. Very suitable particularly for early outdoor cultivation. Wonderfully tender leaf, and also decorative in the garden. Leaves that have an attractive red colour are often also tender. 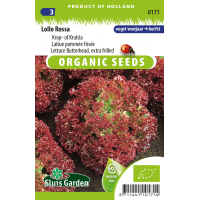 Can be grown in a greenhouse (ventilate during warm weather) and can be sown directly in the garden as of mid March. Keep seeds cool in the summer. Thin out liberally and keep sufficiently moist during warm weather. Lettuce can already be sown at low temperatures (> 10°C).